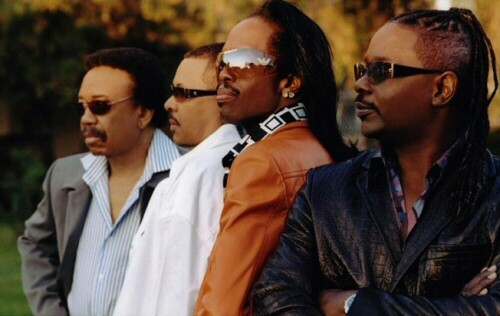 *The key members of Earth Wind and Fire will be inducted into the Songwriters Hall of Fame during a ceremony this summer. Maurice White, Philip Bailey and Verdine White are being honored in addition to producer-composer David Foster and Leonard Cohen, according to an announcement Tueday. Also up for honors are Johnny Mandel, Jackie DeShannon, Larry Dunn and Al McKay. The Hall of Fame celebrates composers and lyricists. The ceremony is set for June 17 in New York City. I can’t think of any group I’d rather see in the Hall of Fame than Earth, Wind and Fire! They truly are the standard for longevity, excellence, professionalism, and raw talent, and I have loved them every since they made the movie “That’s The Way Of The World.” Congratulations, gentlemen! I LOVE your music. Hey, sista Conrad, my sentiments exactly! Earth, Wind and Fire broke new ground as innovators and game changers. Their music and lyrics will always endure the test of time as classic. Don’t even talk about their live stage shows That concert at Madison Square Garden in 1975 was one of the greatest concert events ever! Mad props to my SUPER GROUP and much respect truly from the heart. What’s up Mothership? No doubt that EW&F will always be the essential SUPER group.